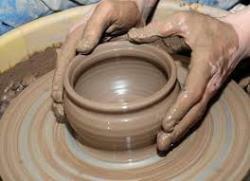 This is an introduction to the wonderful, organic material that is clay. You'll receive a comprehensive overview to working with clay which will cover all steps from clay preparation and re-cycling through to glazing the finished work. You'll learn to throw basic forms with group demonstration and one-to-one instruction. **Held at Wellington Potters' Association, 130 Grant Road, Thorndon. All materials included in course fee. For more information about Wellington Potters, click on this link.